Limited time offer, act now. we scour the market to find great setups for you. Here are some members, making money, with us. * Testimonials Disclaimer: Individual results do vary. We do not claim that they are typical results that consumers will generally achieve. The testimonials are not necessarily representative of all of those who will use our products and/or services. Start learning more about options, today. you how to control risk and enhance gains. that will get you on track to be a winning options trader. Receive trade alerts fast and on multiple devices. Here's a list of our option trade alerts. As you can see we commonly trade spreads along with plain calls and puts. These trades and win/loss ratio are calculated from historical data. While we strive to make this as accurate as possible we make no guarantee results listed. Not every trade is represented.. We make no guarantees you'll see the same results. Past performance is no guarantee of future results. Q: What is your win/loss ratio? Can I see your track record. A: Go here to view our trade archive and win/loss data. Q: I've never traded options before, can I join? A: YES! 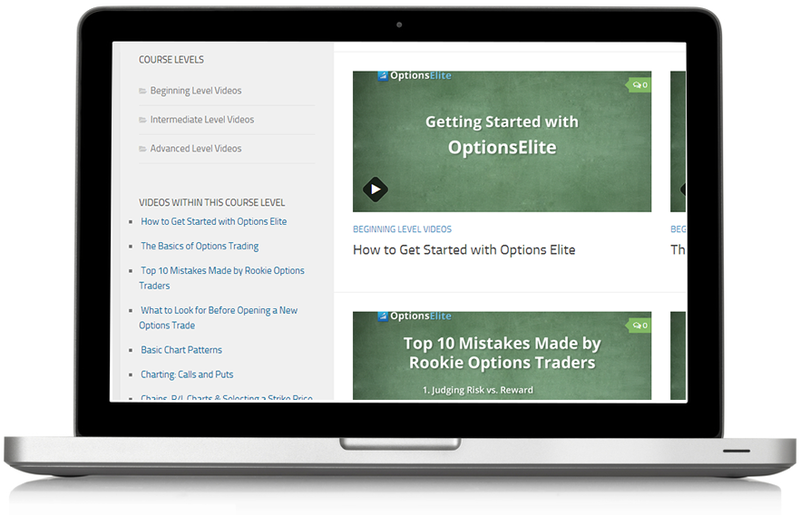 One of the great strengths of OptionsElite is the easy to follow educational material. You'll be up and running with options trading in no time. Q: How much money should I have in my account? A: It's best to have at least $25k in your trading account. However, this is not a requirement. The $25k allows you to open and close trades within a 24 hr span (aka Day Trade). Q: What I've heard of options, is that they are extremely risking. Is that true? A: I believe options trading offers a great amount of control with your trades. Most people improperly trade options, therefore creating unnecessary risk. I aim to show you how to properly trade options to enhance your wins and soften your losses. Q: What does OptionsElite offer me, that I can't just get from watching CNBC? 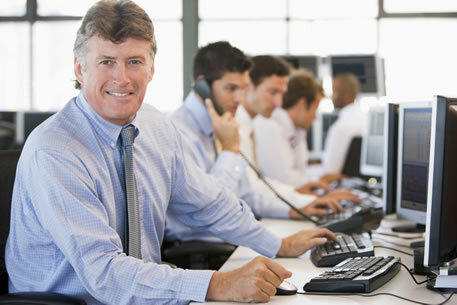 A: We are a dedicated group of traders with many years of trading experience. With an active chat room of over 100 option traders and a forum posted to daily with detailed chart analysis and a robust educational section complete with over 30 hours of videos, we offer you a very interactive experience. We take you from learning options to exceling at them. So, even if you're a member for a few months, you still walk away with gained insight and strategies. Q: Who the heck is OptionsElite? With a strong background in mathematics, science, and experience as a school teacher allows Mark to critically break down and explain the factors involved with options trading in order to minimize risk and maximize profits in predicting stock movement. After trading and following big board stocks like AAPL through countless sessions, Mark has developed successful methods on anticipating how these stocks move intraday, off of fundamentals, and through their charts. Full time geek/creator of StockMarketWatch.com. Terry has been creating powerful trading tools for years. He's also a veteran stock trader. He is constantly building new tools to help options traders learn and uncover strong profit opportunities. Justin is a veteran trader and a master of charts. 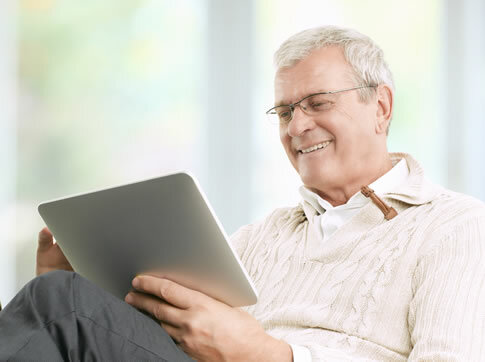 You will see him in the live chat talking stocks, but his true strengths are shown in our forums. Within the forums he gives detailed analysis of his trade ideas and where to enter and exit, and why. Q: I have additional questions about your service, how do I contact you? A: Please send me an email at [email protected], I'll be happy to answer your questions. Past performance is not indicative of future results. The material contained on this page is intended for informational purposes only. OptionsElitePicks.com is wholly-owned by Port Oasis, Inc. (PO) PO is not a compensated investor relations firm. OptionsElitePicks (OPE) offers a monthly, paid membership trade alert newsletter. These trade opportunities are one hundred percent unbiased and OPE is never compensated for them. Our website and newsletter are neither an offer nor recommendation to buy or sell any security. We hold no investment licenses and are thus neither licensed nor qualified to provide trading advice. The content of our website and/or newsletter is not provided to any individual with a view toward their individual circumstances. While all information is believed to be reliable, it is not guaranteed by us to be accurate. Individuals should assume that all information contained on our website or in our newsletter is not trustworthy unless verified by their own independent research. Also, because events and circumstances frequently do not occur as expected, there will likely be differences between the any predictions and actual results. 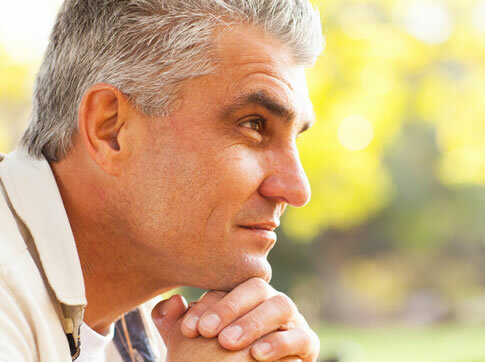 Always consult a licensed investment professional before making any investment decision. Be extremely careful, investing in securities carries a high degree of risk; you may likely lose some or all of the investment. We reserve the right to buy or sell shares of any company mentioned on our website or in our newsletter at any time. Our options trading newsletter and website have been prepared for informational purposes only and are not intended to be used as a complete source of information on any particular company. An individual should never invest in the securities of any of the companies profiled based solely on information contained in our report. Individuals should assume that all information contained in the report about profiled companies is not trustworthy unless verified by their own independent research. Any testimonial appearing on this site was received via email, text, audio or video submission. Each one is an individual experience of those who have used OptionsElite. Some videos may use actors to read user testimonials. They are individual experiences and results do vary. We do not claim they the results described in any testimonial are typical.